IRNA – Iranian President Hassan Rouhani urged ambassadors of other countries, as representatives of Iran’s nation, history and culture to develop political, economic, commercial and cultural relations with other countries. 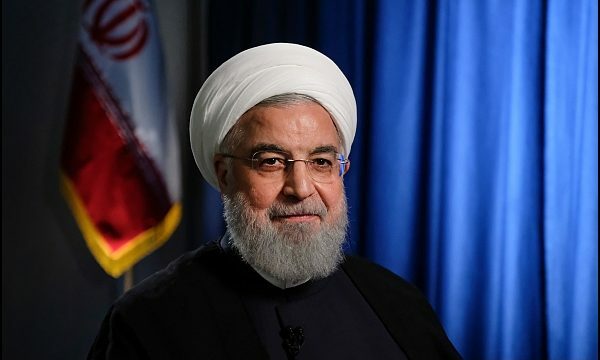 Hassan Rouhani said on Tuesday, in a meeting with the new ambassadors of Iran in Spain, Sierra Leone, Kuwait, Romania and Bangladesh that today those who have bad intention against the Iranian people should not hesitate to engage in any kind of plot and inhumane action to hurt the revolution and exert pressures on the people. ‘In this situation, the ambassadors of Iran in foreign countries have a duty to double their efforts and seriousness of developing relations and cooperation of Iran with other countries in different sectors, and the private sector should be the leader of economic relations,’ he stated. Ambassador of the Islamic Republic of Iran to Spain Hasan Qashqavi, Ambassador of Iran to Sierra Leone Akbar Khosravi Nejad, Ambassador of Iran to Kuwait Mohammad Irani, Ambassador of Iran to Bangladesh Mohammad Reza Nafar and Ambassador of Iran to Romania Morteza Abutalebi also presented a report on the status of Iran’s relations with the countries of their missions in various fields, emphasizing the efforts and seriousness of developing economic relations and the full cooperation of Iran with other countries.